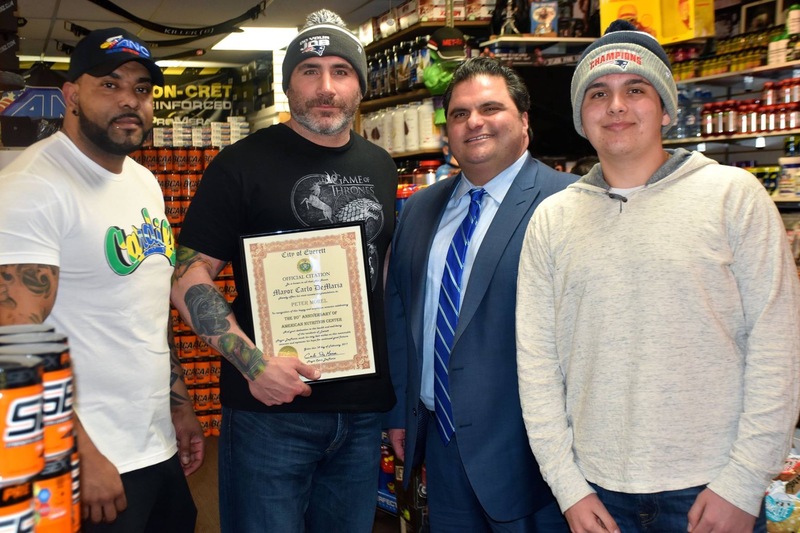 On Tuesday, February 14th, Mayor Carlo DeMaria and the City of Everett celebrated the American Nutrition Center’s (ANC) 20th Anniversary. Mayor DeMaria honored and showcased President Peter Morel and ANC’s hard work and achievements throughout the years. ANC is considered the #1 retail sport nutrition store for its various selection of products and fantastic customer service. ANC goes above and beyond to cater to its customers, beat competitor’s prices and give back to their customers with gifts after every purchase. President Peter Morel has received numerous awards for his work and continues to share his fitness and nutrition knowledge with fellow employees and loyal customers.